Rajiv Advani, a Board member of India Heritage Center, immigrated to the US in 1990 and has lived in New Jersey ever since. Rajiv holds a Bachelor’s degree in Marketing from Rutgers University, however has spent most of his professional life in Information Technology. He is currently the Head of Technology at Tharanco Group, a major apparel conglomerate. Also known as the “Dealmaster”, Rajiv is a travel aficionado who has visited over 100 cities in more than 20 countries. He is the creator of Mileopedia.com, his own travel blog. Mileopedia.com has had over 260,000 visitors with 1,2oo followers to date. It has been featured on Fox News Radio, sharing some of the best travel deals and tips around. Rajiv is the “tech guru” for IHC. His expertise has brought India Heritage Center to the 21st century and beyond! Rajiv manages IHC’s social media, website, various technology related matters as well as contributing to all operational efforts. 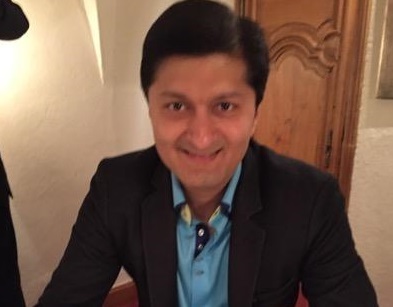 Rajiv Advani is an indispensable asset to the talented India Heritage Center Board.